El Salvador is a small country but offers much to those who visit. This tourist destination offers excellent natural attractions: paradisiacal beaches, a benign tropical climate, lush landscapes and an important archaeological and ecological heritage with colonial and pre-Columbian, traces and national reserves. It is one of the few places in the world where are still dry tropical forests in natural reserves. Who decides to travel to El Salvador you will find an ideal to enjoy holidays outdoors, with more than 300 kilometres of beach, picturesque Lakes, rivers and glowing pools which are source of satisfaction for anyone who yearns for aquatic activities perform landscape. La Palma located west of the Department of Chalatenango, 82 kms from San Salvador and 8 km from the EL Salvador-Honduras border. Besides being famous for its handicrafts, La Palma became the center of world attention in 1984 when President Jose Napoleon Duarte met with rebel guerrilla leaders in an attempt to end the civil war, this was the first talk of peace who was since the beginning of the war in 1980. This city has hotel infrastructure and restaurants as well as sites where hiking. La Palma was part of the so-called Royal roads, this being the path to reach Honduras. Since the early years of independence has been the scene of battles, these national, since they were municipal and governmental forces which fought against the troops of the Francisco Malesp�n exmandatario well-behaved in both battles Malesp�n was defeated. Painted motifs are drawn from everyday life, customs and traditions of peoples Salvadorenos and painted "Naif" style. 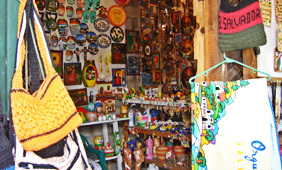 It is another artistic attraction in La Palma El Salvador artisans have embodied many of these customs houses walls. So that just a walk through the streets of La Palma is in itself an artistic attraction.